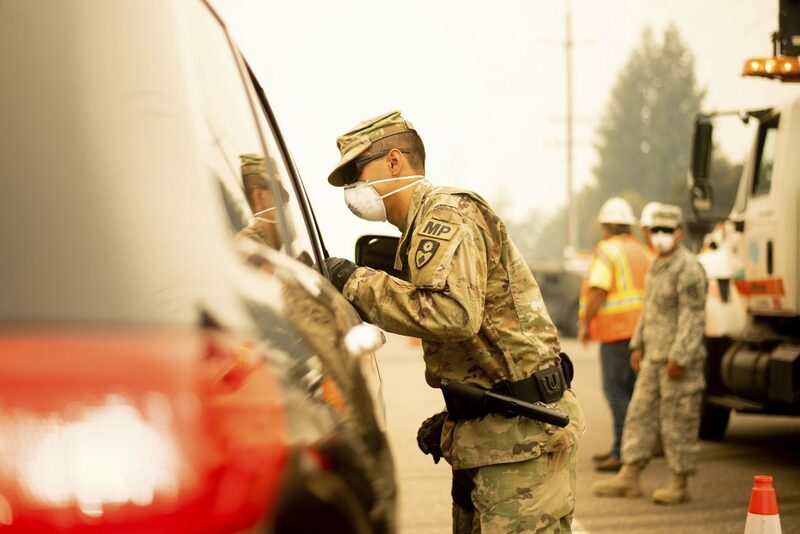 Army National Guard Specialist Gonzalez mans a checkpoint as the Carr Fire burns in Redding, Calif., on Saturday, July 28, 2018. Thousands of residents remain evacuated as the blaze, which has killed multiple people, threatens homes in Redding and surrounding communities. Debris and charred items litter a wildfire-ravaged home Saturday, July 28, 2018, in Redding, Calif. 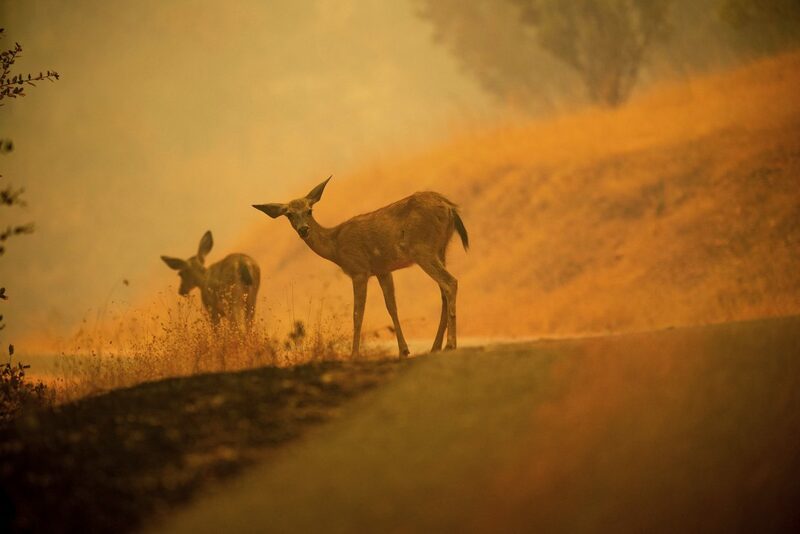 Deer graze along a road covered in fire retardant as the Carr Fire burns near Redding, Calif., on Saturday, July 28, 2018. 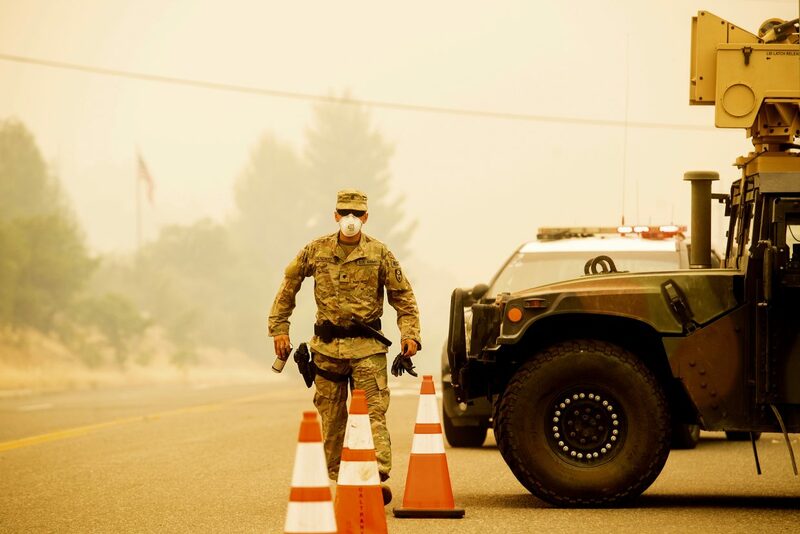 An Army National Guard specialist stands guard at a checkpoint as the Carr Fire burns in Redding, Calif., on Saturday, July 28, 2018. Thousands of residents remain evacuated as the deadly blaze threatens homes in Redding and surrounding communities. 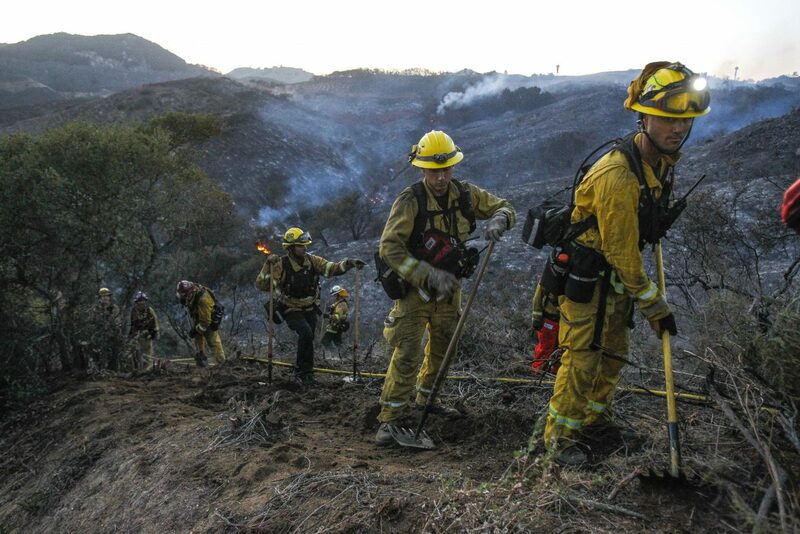 A hand crew of firefighters from various San Diego County fire departments scratch out a fire line after a brushfire burned in De Luz, Calif., on Saturday, July 28, 2018. 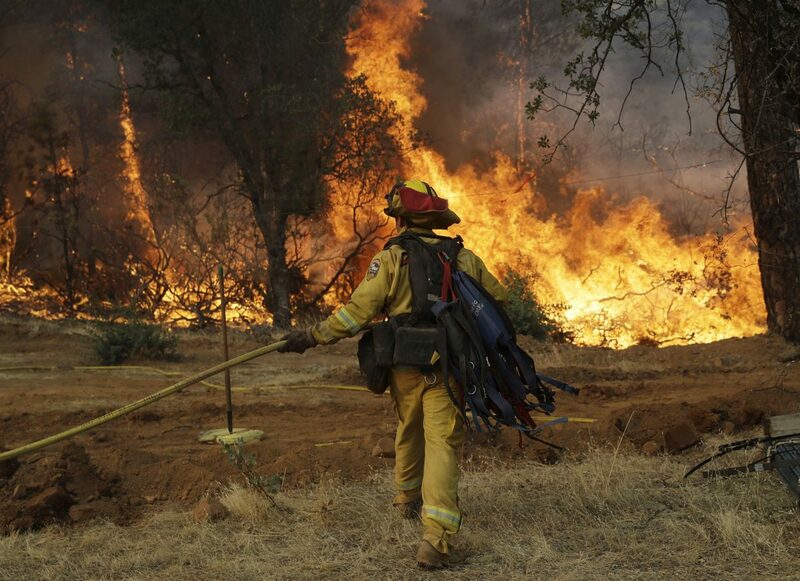 A firefighter makes a stand in front of an advancing wildfire as it approaches a residence Saturday, July 28, 2018, in Redding ,Calif.
A Cal Fire firefighter waters down a back burn on Cloverdale Rd., near the town of Igo, Calif., Saturday, July 28, 2018. The back burn kept the fire from jumping towards Igo, Calif. Scorching heat, winds and dry conditions complicated firefighting efforts. 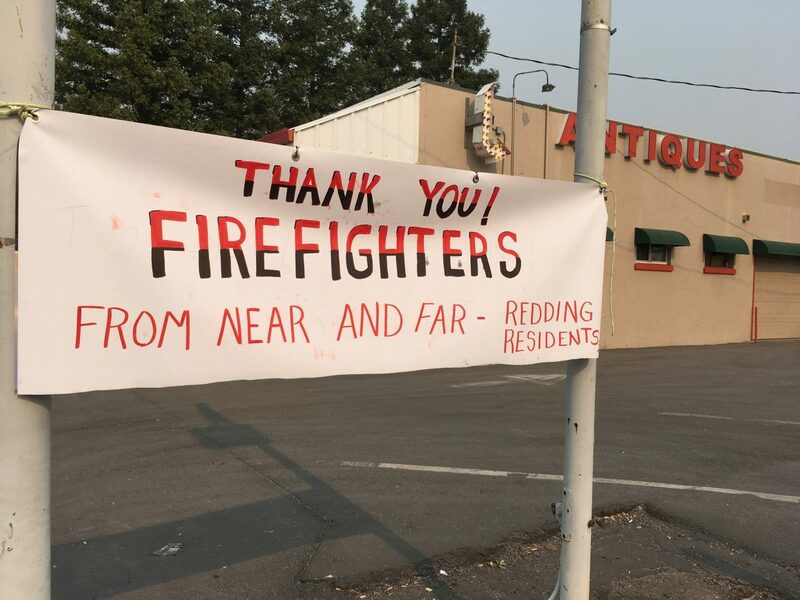 A sign thanking firefighters is see in Redding, Calif., Sunday, July 29, 2018. Fire crews faced many uncertainties Sunday as they struggled to corral a deadly blaze in Northern California that left thousands of dazed evacuees reeling as they tried to take care of themselves and their pets. 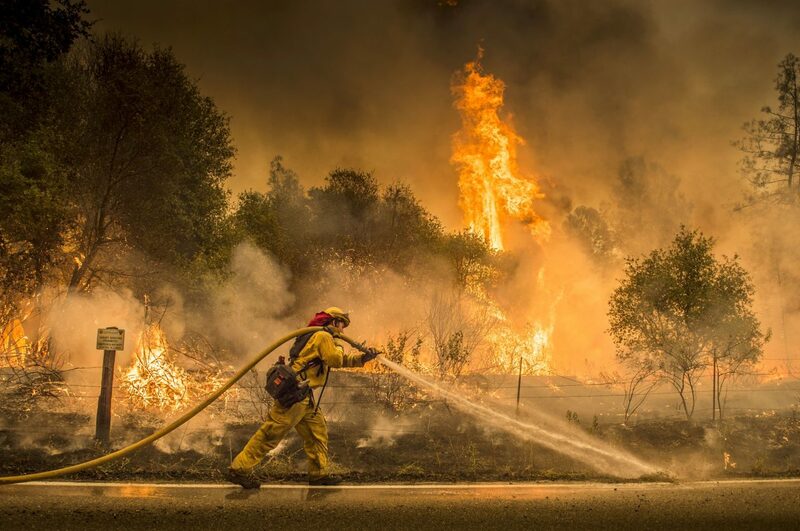 Crews endured hot temperatures and remained wary of the possibility of gusty winds, said Anthony Romero, a spokesman for the California Department of Forestry and Fire Protection. 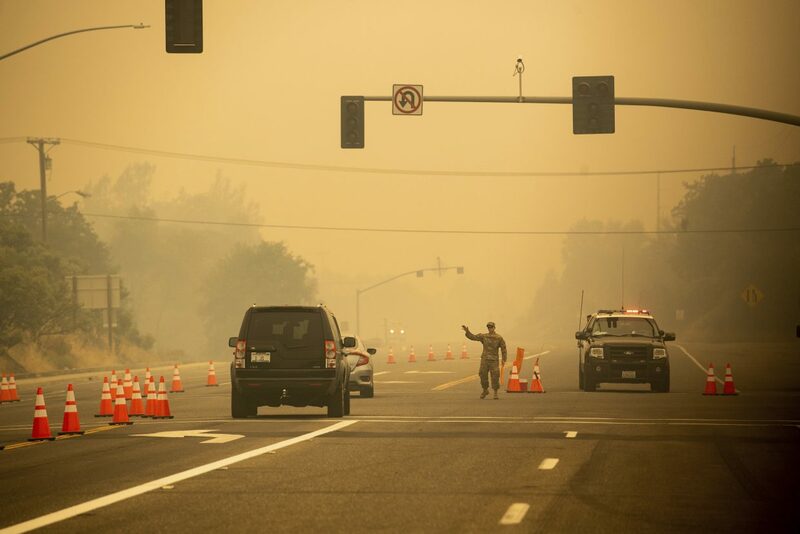 A firefighter walks to flames as a wildfire advances onto a residential district Saturday, July 28, 2018, in Redding, Calif.
An Army National Guard specialist speaks to a driver at a checkpoint as the Carr Fire burns in Redding, Calif., on Saturday, July 28, 2018. Thousands of residents remain evacuated as the deadly blaze threatens homes in Redding and surrounding communities. 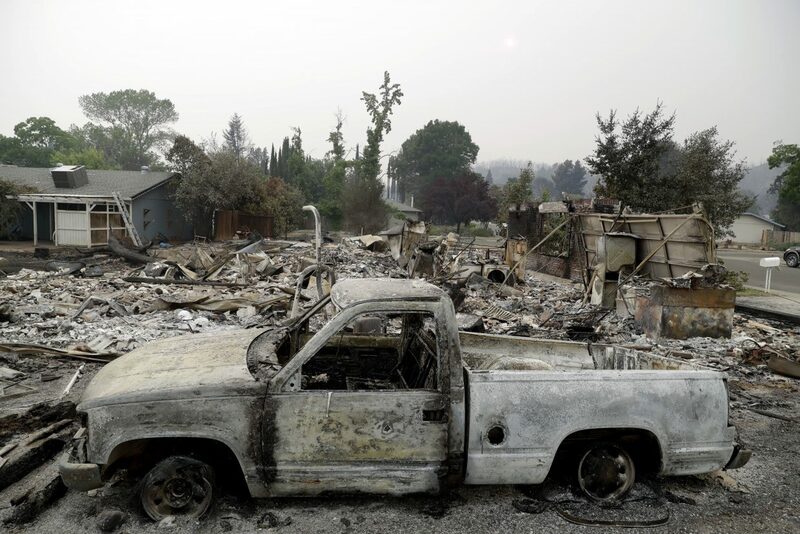 A burned out vehicle sits in front of a wildfire-ravaged home Saturday, July 28, 2018, in Redding, Calif.
REDDING, Calif. — Fire crews facing several weather uncertainties Sunday struggled to corral a deadly blaze in Northern California that has left thousands of dazed evacuees reeling as they to take care of themselves, their families and even pets. Firefighters endured hot temperatures and remained wary of the possibility of gusty winds, said Anthony Romero, a spokesman for the California Department of Forestry and Fire Protection. 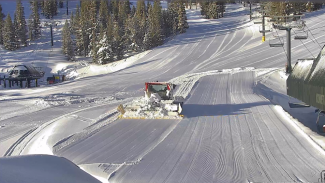 “Right now it’s going everywhere. 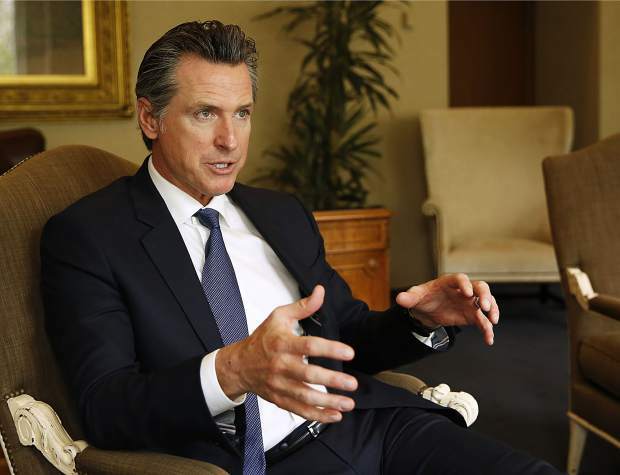 We still have a lot of open line,” he said. The National Weather Service on Sunday forecast hot and dry conditions in the area, with wind gusts expected late in the afternoon. 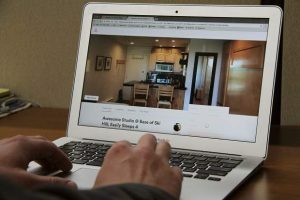 Anna Noland, 49, was evacuated twice in three days before learning through video footage Saturday that the house she last saw under dark and windy skies had burned. 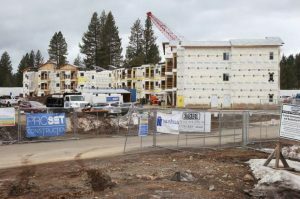 She planned to stay at a shelter at Simpson College in Redding while she searches for another place to live. Noland is among the 38,000 people evacuated after the so-called Carr Fire roared into the outskirts of Redding in Shasta County, leaving five people dead, including two firefighters, a woman and her two great-grandchildren. 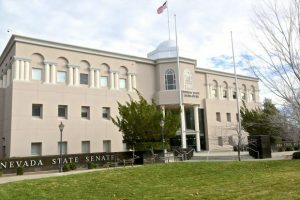 “My babies are dead,” Sherry Bledsoe said through tears after she and family members met with Shasta County sheriff’s deputies Saturday. The blaze, which grew slightly Sunday to 139 square miles (360 square kilometers), is the largest fire burning in California. 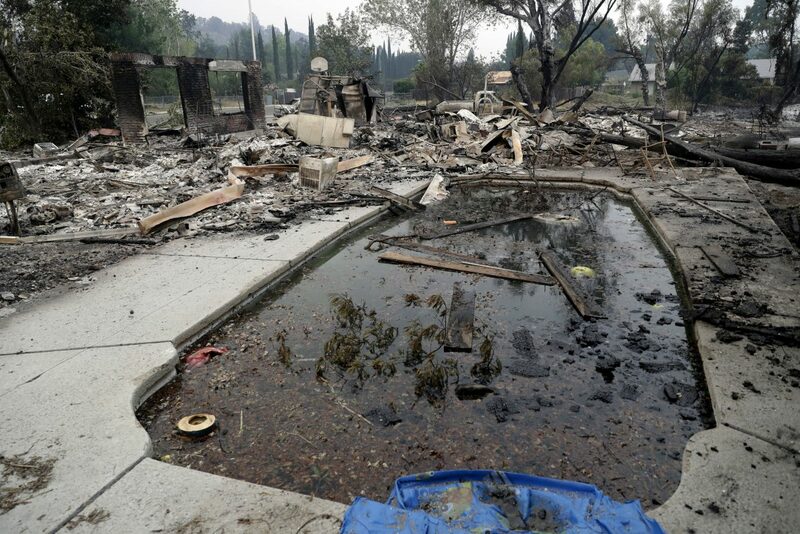 More than 5,000 structures were threatened, and the fire was just 5 percent contained. The latest tally showed 517 destroyed structures and another 135 damaged, Romero said. A count by The Associated Press found at least 300 of those structures were homes. 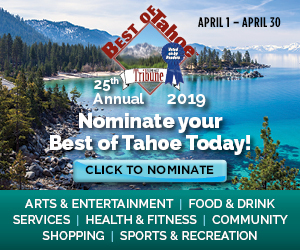 Sherry Bledsoe’s two children, James Roberts, 5, and Emily Roberts, 4, were stranded with their great-grandmother Melody Bledsoe, 70, when walls of flames swept through the family’s rural property Thursday on the outskirts of Redding. Wildfires around the state have forced roughly 50,000 people from their homes, said Lynne Tolmachoff, a Cal Fire spokeswoman. 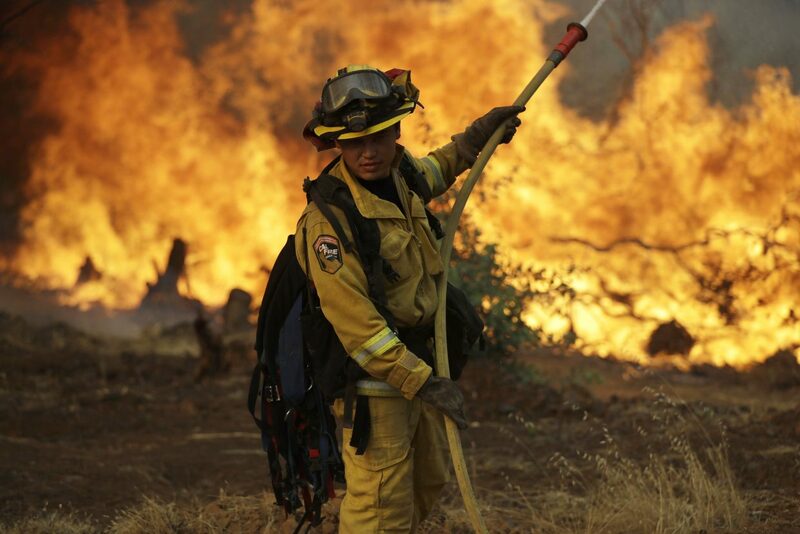 She said 12,000 firefighters were battling 17 significant fires in California on Sunday. About 100 miles (160 kilometers) southwest of Redding, two blazes that prompted mandatory evacuations in Mendocino County burned largely unchecked. The two fires that started Friday destroyed four homes and were threatening more than 4,500 buildings, said Tricia Austin, another Cal Fire spokeswoman. They had consumed 39 square miles (101 square kilometers) and were each 5 percent contained. “It’s a difficult fire to deal with,” Austin said, noting the weather was hot and the terrain rugged. Authorities also issued evacuation orders in Napa County, famous for its wine, when a fire destroyed eight structures. The blaze had blackened 150 acres, but was 50 percent contained on Sunday.